August 2017 | C A N D A C E .
" Inspired by the Korean Althea petals, the Petal Velvet Powder gives a silky smooth finish unlike any other "
H e l l o o o o ! 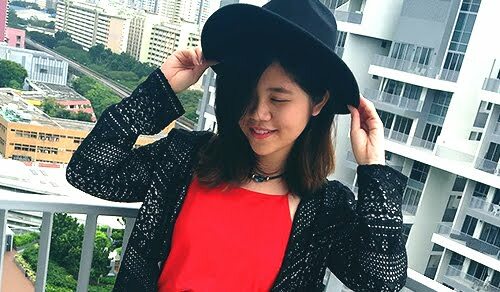 Couple days ago, I shared a review on Althea’s GorgeousMatte Box, and today I’m back again with another Althea review. 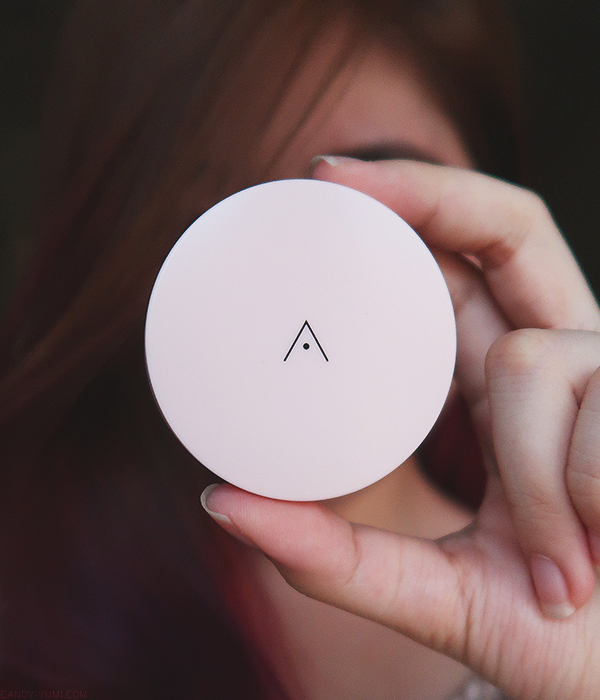 This time round it’s a little different as I won’t be reviewing a variety of K-beauty products that’s available on Althea, instead I’ll be reviewing Althea’s very firstproduct!! When I first got the e-mail about the news I was waiting eagerly to try the product and after testing it out for a couple days, here’s what I think about it! 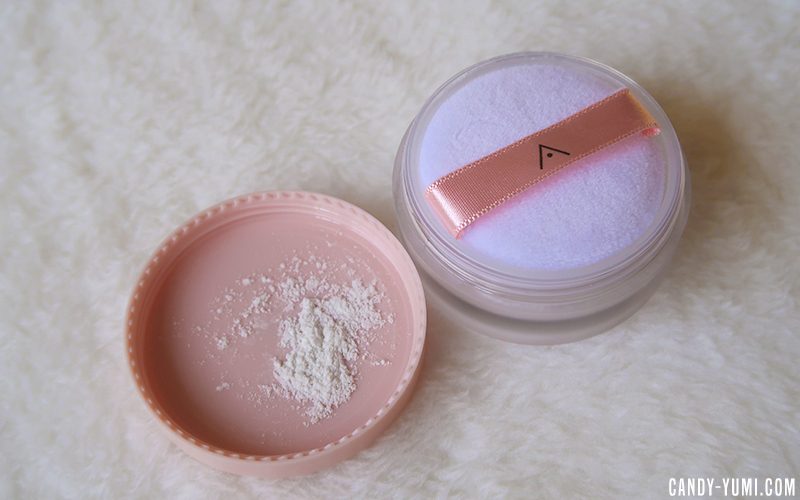 So here's Althea's first ever product, the Petal Velvet Powder. 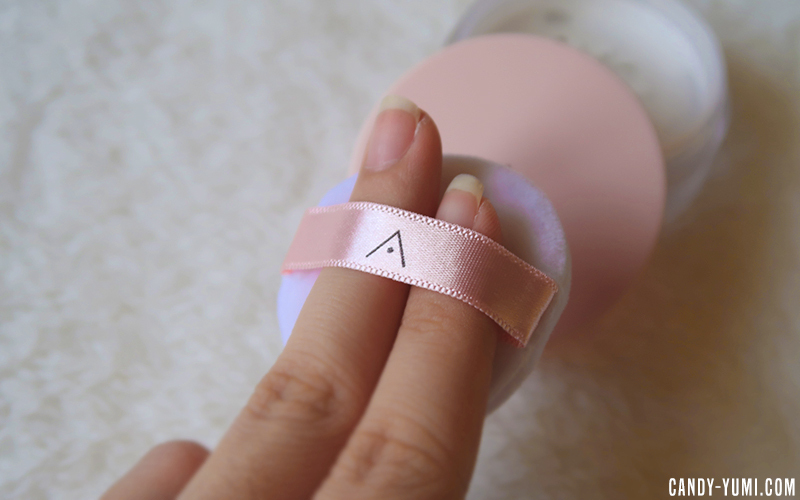 When I received the PR package of this product from Althea I only had one word to describe it: cute! Just like the matte box I received from them, I had to put this aside and wait til my final exhibition was over to try it T.T Thank goodness the wait is officially over! 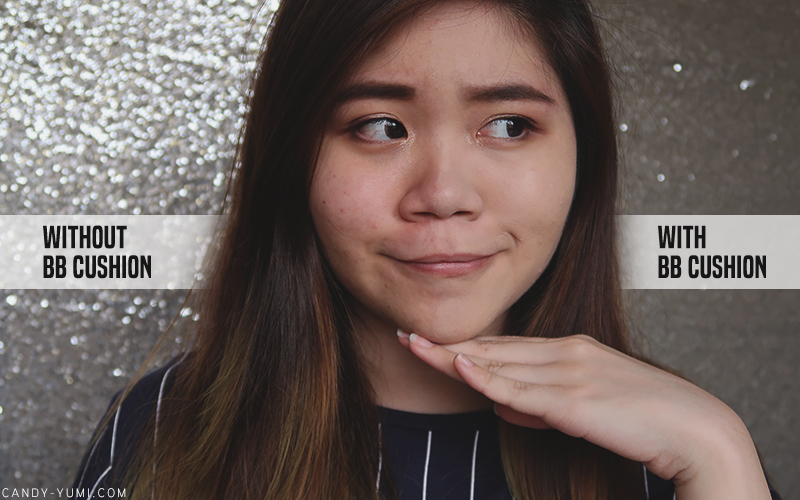 Like all my other reviews, I'll share my thoughts on the product and also show you guys some photo try-ons! 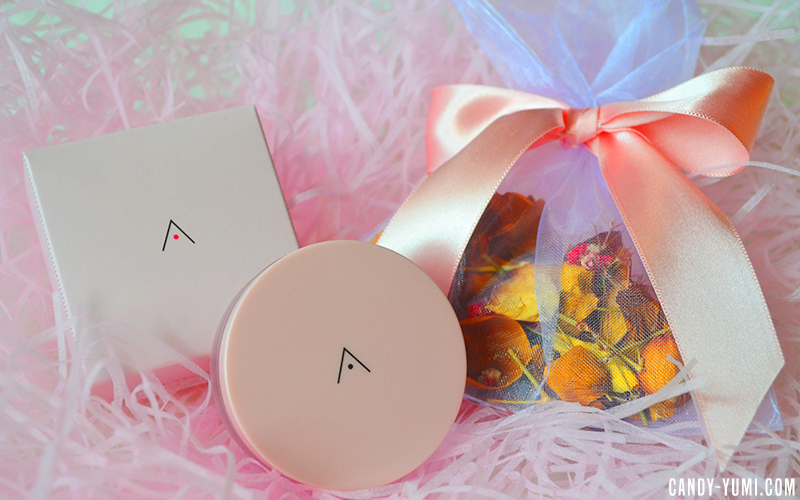 This Petal Velvet Powder contains three main ingredients: Althea, Polyphenols, and Saponarin. Althea flower seed extract contains natural antioxidants that will help keep your skin hydrated. Polyphenols helps in sun protection. Saponarin contains anti-ageing properties as it helps repair skin cells. 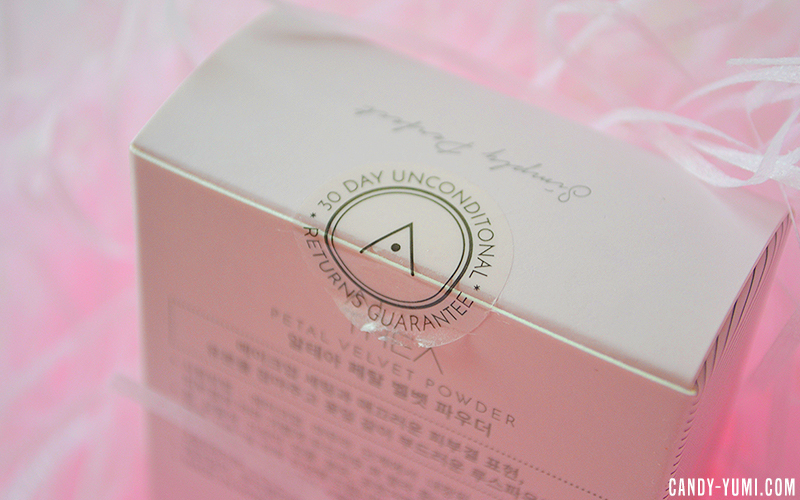 The powder is retailing for only RM16 on Althea.kr. You get 3g of product which I feel is not a lot but still quite a decent amount for that price. You can purchase is HERE. The loose powder will come in this square box. 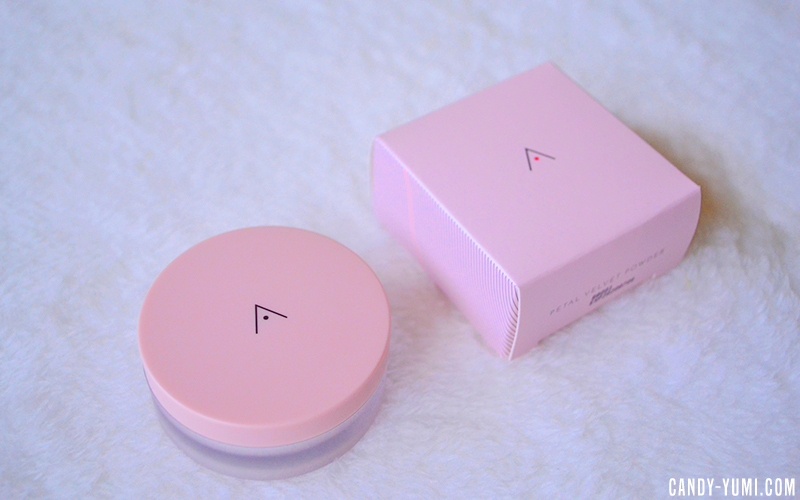 The square box design is based on their classic pink Althea box, so it’s kinda like a mini version of it! 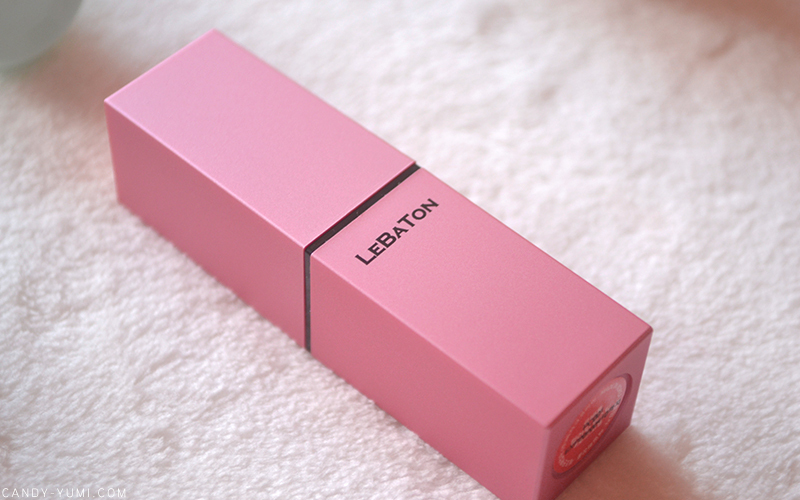 As for the product itself, the packaging is simple but sturdy at the same time. (let me remind you this is only retailing for RM16!) I personally like how they used a frosted fake-glass(plastic) for their packaging cause it looks more high end that way ahahaha! As the size of it is quite small, I find it really convenient for travel. When I was opening this sticker seal, I noticed that the sticker states a 30 day unconditional return guarantee! In case you don't know or forgot (like me), this policy applies to all your Althea purchases! Shows how much they care about their customers!! 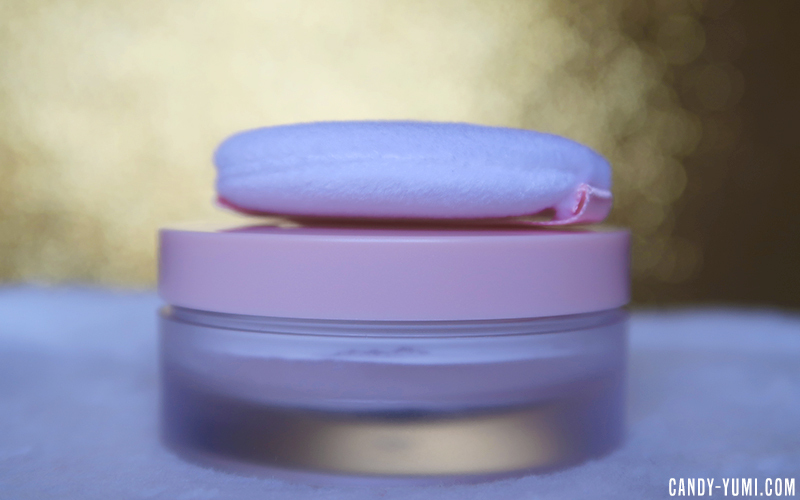 You get the puff, lid, and the product. Figured this might help let you estimate the size of this product. As you can see the translucent powder is white but blends out to nothing. 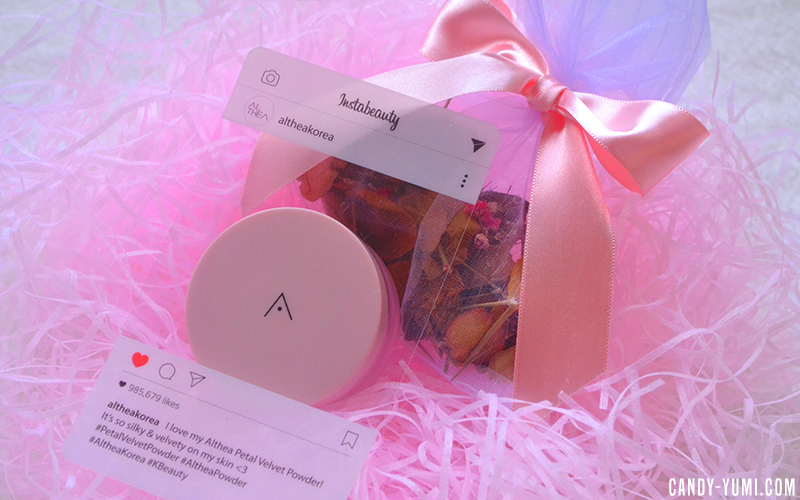 Enough with the long talk, for more info on Althea's Petal Velvet Powder, you can read it under their product description here. It's now time to show you guys the results of this product! Here's my face condition at the moment. 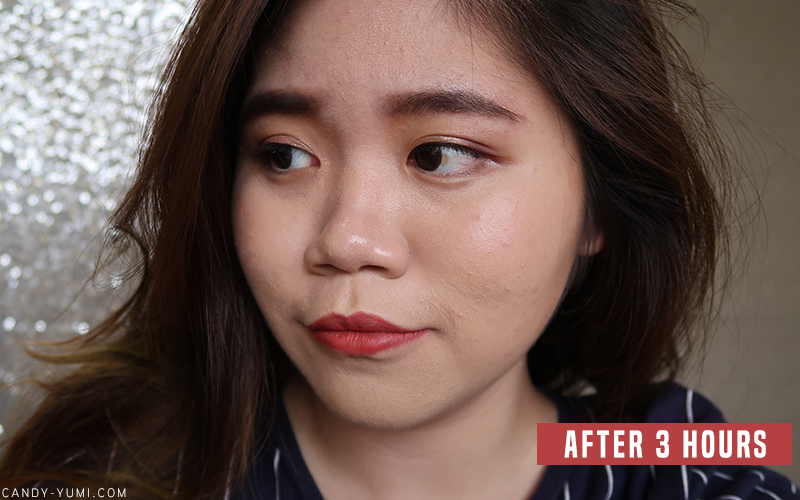 The acne scars are still there but it's definitely in the process of healing in comparison to my previous matte box review post. So here's a naked bare face. 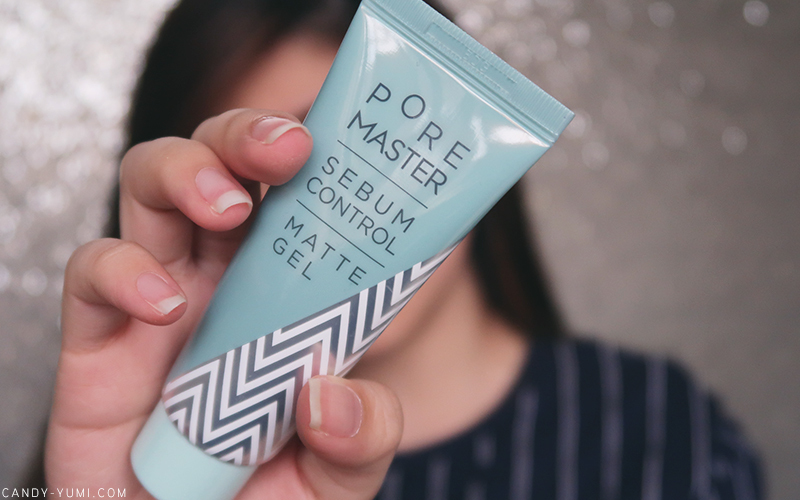 To test out the pore minimizing effect from the powder, I've tested this powder with Aritaum's Pore Master Gel primer because that primer did not blur my pores out at all. 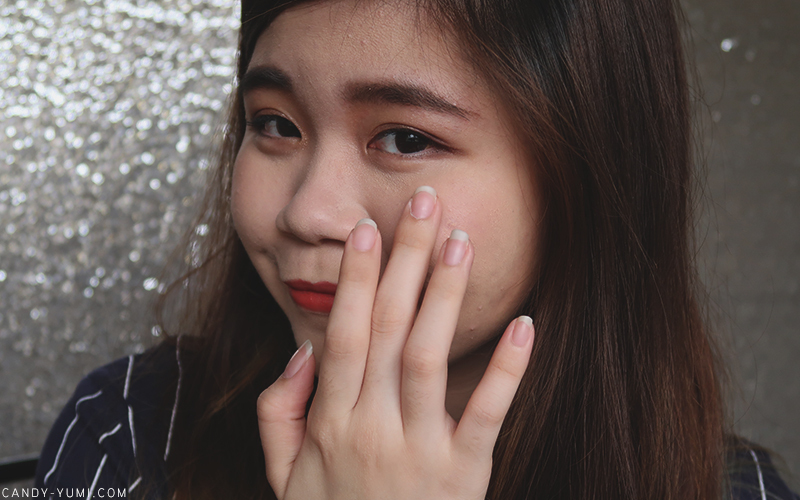 Here's after applying a sheer layer of low coverage BB Cushion + Althea's Petal Velvet Powder. I wasn't planning on going anywhere when I wanted to test it out but I guess you could say I did sweat a little as I tested it by running around three rooms to pack for my trip without any air condition (and I'm actually typing this at 2AM in Singapore right now lolol) Not sure you can tell but I'm actually really amazed by their pore blurring effect. I did not use a pore minimizing primer and this actually helped minimize my pores?? 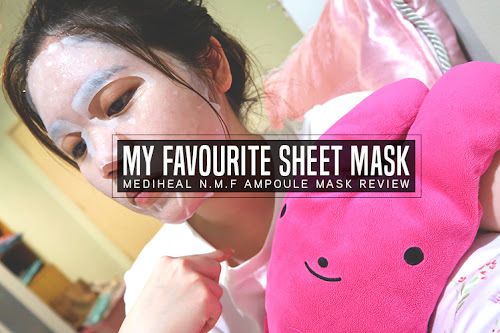 The best thing is that it did not give me any breakouts the next day either!! and it's RM16 please. Here's my face after 4 hours of packing. I do see some shine peeking through but that's fine. After 4 hours of packing I'm quite surprise that the shine was minimal. Given if I was using my all time go-to Chanel translucent loose powder, I've already turned into a full blown reflector lol. so I guess by now you guys know which translucent loose powder I brought with me for my trip hahahaha. Overall, I’m really liking this product. 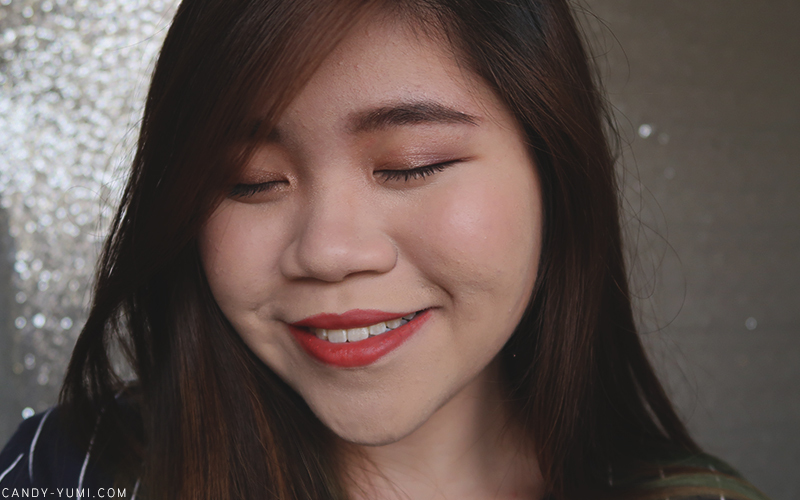 I love how fine the powder is and how it helped in blurring my pores. I have really huge pores so if a primer/powder helps in minimizing the looks of it (like Benefit’s Porefessional) that product will definitely win a place in my heart. Asides of that, I’m really liking the travel friendly size too. All this while I've always brought my bulky Chanel loose powder for my travels! I do wish that in the future Althea would release a larger version of this powder as it does take a while for me to apply it all over my face. The only thing I wasn’t too happy about is the floral scent it came with. It wasn't a huge turn off as it didn't irritate me or anything after I apply it so this product is definitely something I'd recommend trying if you don't mind flowery scents. I mean, it's RM16 la so just give it a try also won't hurt your bank too bad haha. 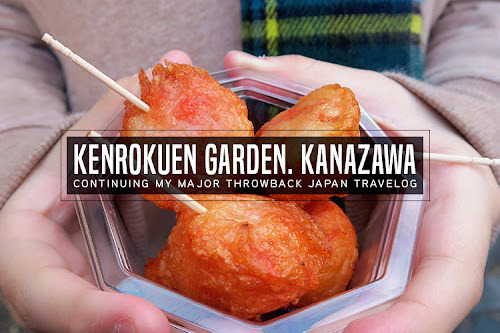 As for me, I'll definitely repurchase this. If they release a bigger version with a milder scent, I'll definitely be jumping for joy. 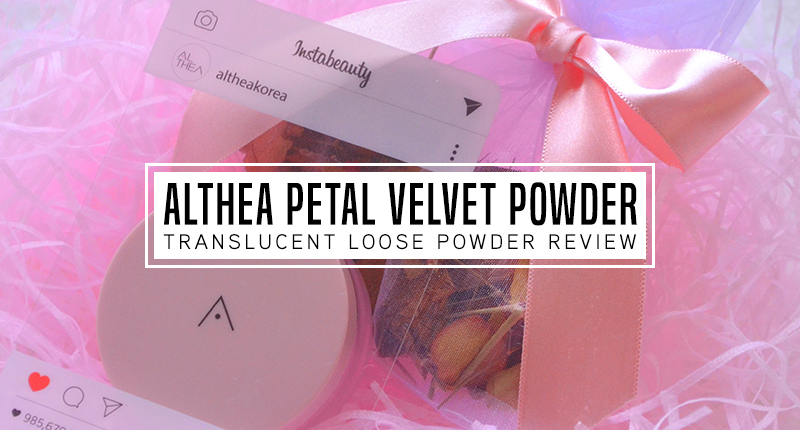 That's it for my review on Althea's Petal Velvet Powder. Hopefully you guys find this review helpful and if you've tried this, let me know what you guys think about it. Do you love it? Hate it? Let me know! On the side note, I'll be in Melbourne & Singapore for the next few days, so if you're interested to see what I'm up to, check out my insta-stories! S a y o n a r a ! Helloooo! I'm currently at Singapore and it's 4AM now. I have another flight to catch in 5 hours time and I have no idea why but I'm pretty wide awake right now soooooo I figured I might as well do a quick 'Candy Gets Hungry' posting, hopefully i'd get sleepy halfway writing this! 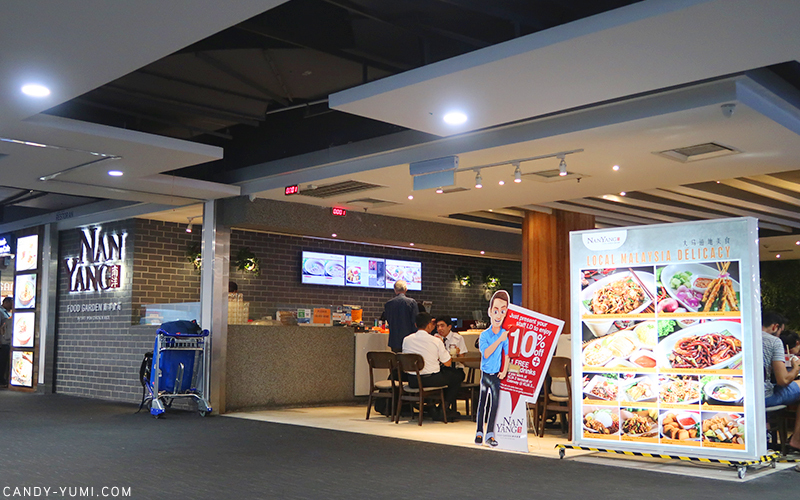 So while trying to kill time at KLIA 2 before our flight to Singapore earlier yesterday, we passed by this restaurant called NanYang Food Garden. (exact location at the end of post) and all of a sudden we were all craving for some chicken rice. The restaurant had quite a number of seating area. You could choose to sit inside the restaurant itself or outside (air conditioned). We chose to sit outside as the seats seemed comfier. 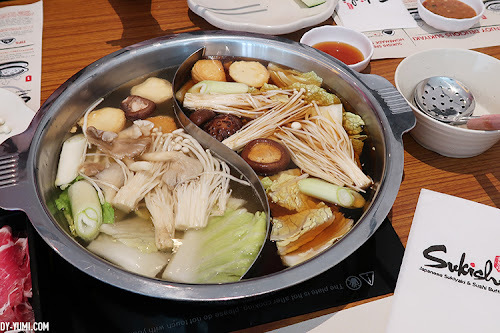 Once we're set that we wanted only chicken rice and a drink, we ordered and paid at the counter then headed to our table to wait for our food. 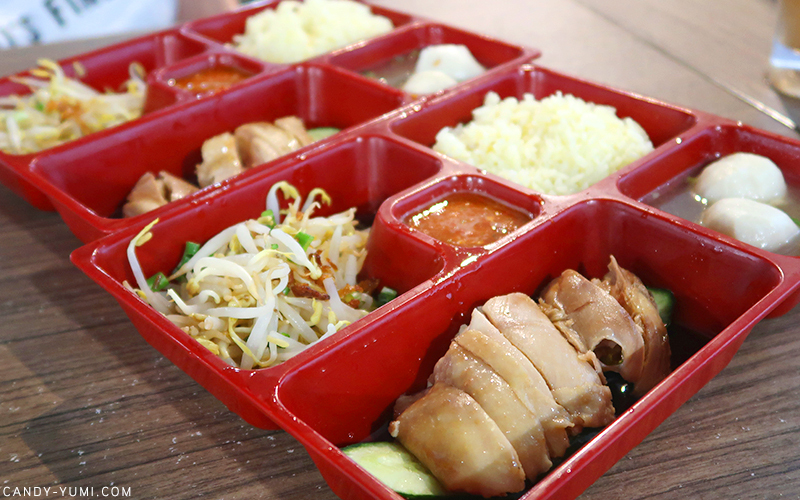 The Steamed Chicken rice is RM17.90 each. 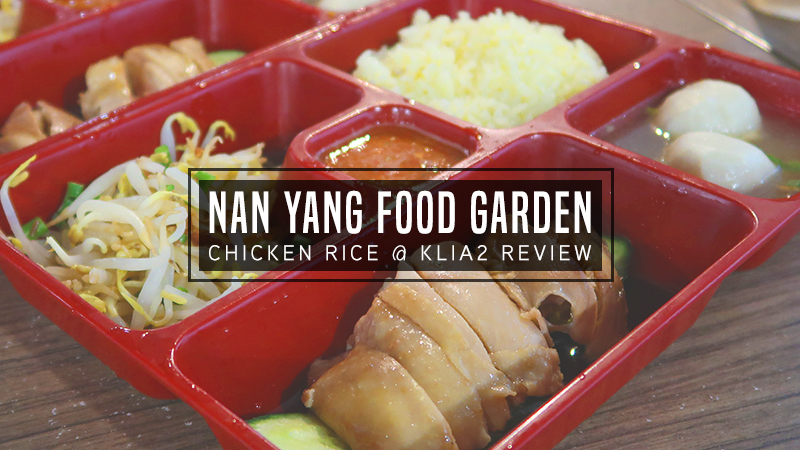 our chicken rice finally shows itself! 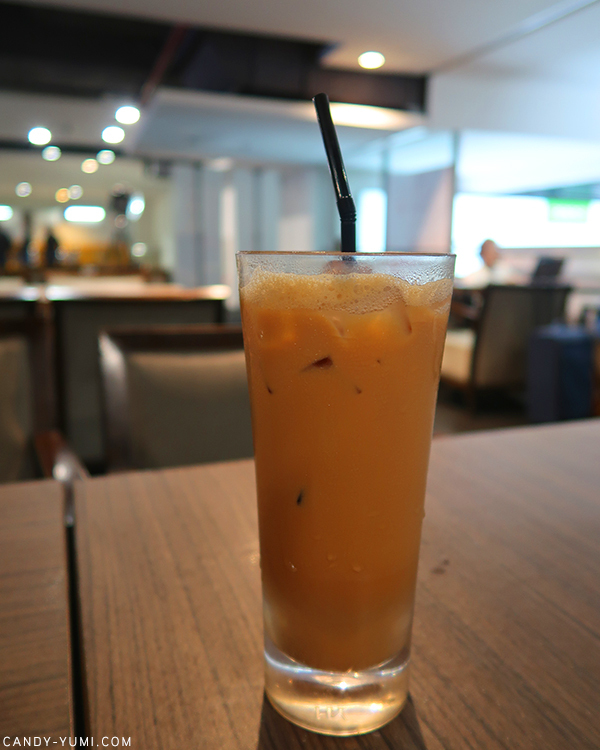 Perhaps because we have been kept waiting so so long for chicken rice in an airport, the food tasted quite good? My sister loved it so much though! I find it alrightttt? 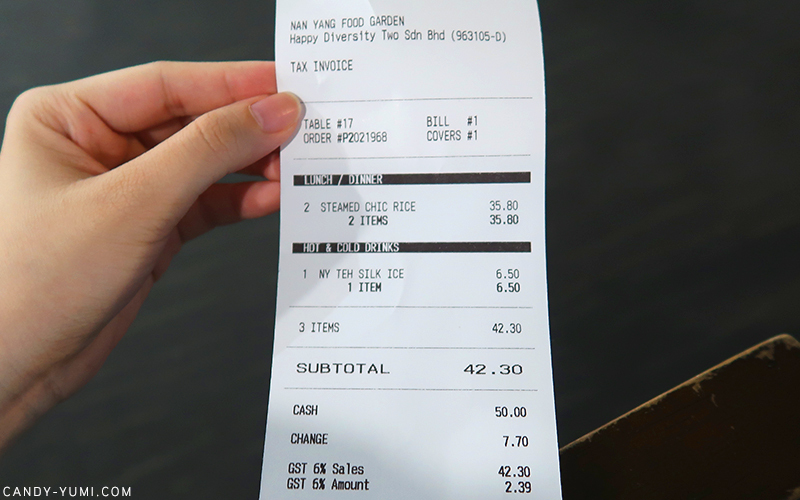 Although I know RM17.90 for chicken rice sounds ridiculous but for air port wise I guess it's still acceptable la, plus they gave you bean sprouts and fish balls also leh. I did find the gravy a tiny bit too salty though! Other than that I'm quite satisfied. Only downside to this was really just the waiting time. So if you're in a rush, you might want to consider dining somewhere else. I think the best way to describe this place is that this restaurant's food prices are very similar to Papparich but 10x better in quality. 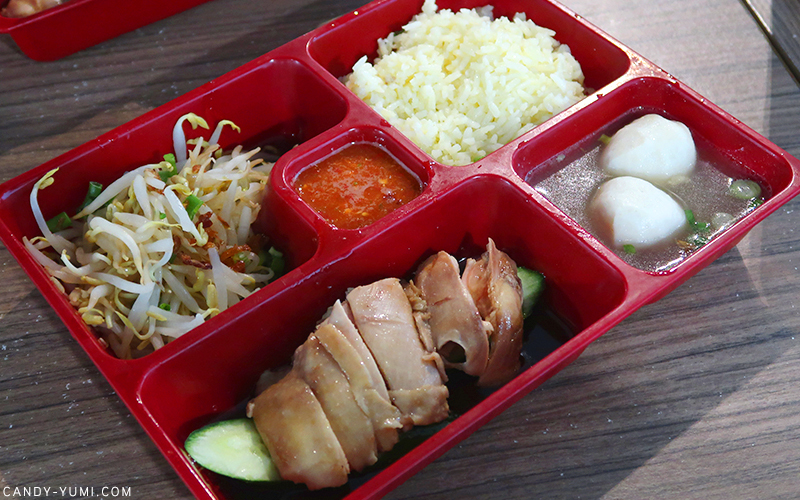 I also noticed how everyone else's food came in a proper plate but my chicken rice was served in a plastic tray....? :( Also wished they could improve on their speed to deliver the food. Waiting 30 mins for chicken rice just sounded too long la. Alright I'm gonna tryyyy to get some sleep now! Very sad hor? So let's see what I think about the products in Althea's Matte Box, shall we? In this box you get a total of 6 beauty products. 2 skincare products and 4 makeup products. Psst. This Gorgeous Matte box is retailing for RM121.00 on Althea and the total of all the products above are worth RM223. So if I did the maths right, you basically save RM102! 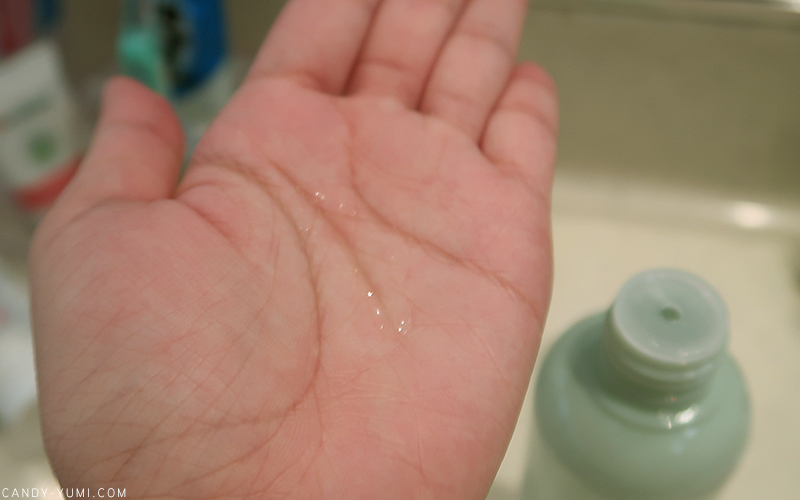 Although this cleanser did leave that squeaky clean texture on my hands, it's still not too dry for my face. Guess my face has more oil than my hands...? 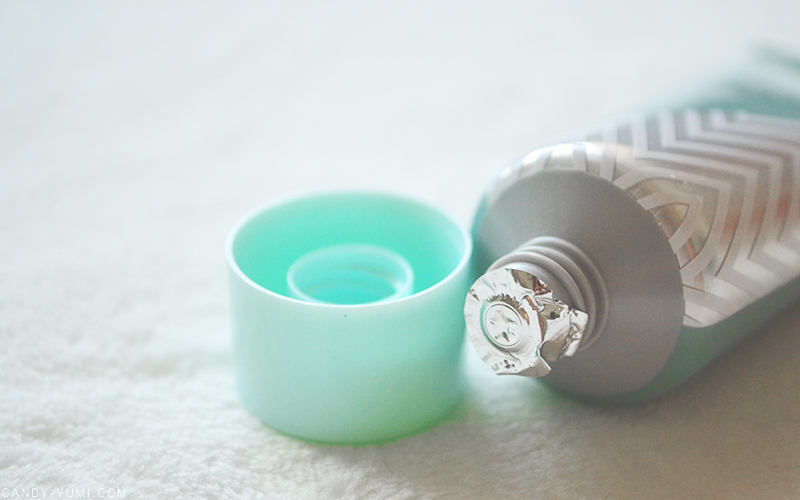 Just make sure you moisturize your face after using this cleanser and it should be fine. 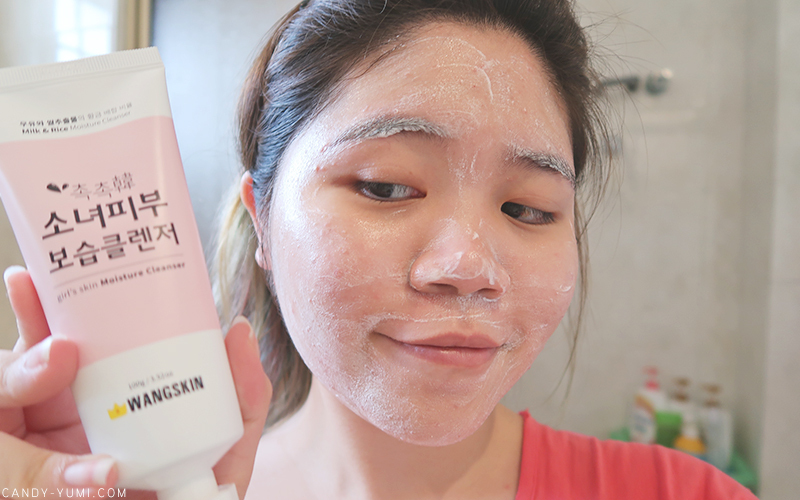 Comparing this foam cleanser from Wangskin to a few other foam cleansers I've tried in the past, this is actually slightly more moisturizing for my skin. Funny thing is, the smell actually reminds me of Elizavecca's 24k Gold Snail Cleansing Foam haha. You'll only need a small amount. I typically squeeze only a pea size then mix a little water before rubbing the cleanser onto my face. After that, like any other cleanser, wash it off. 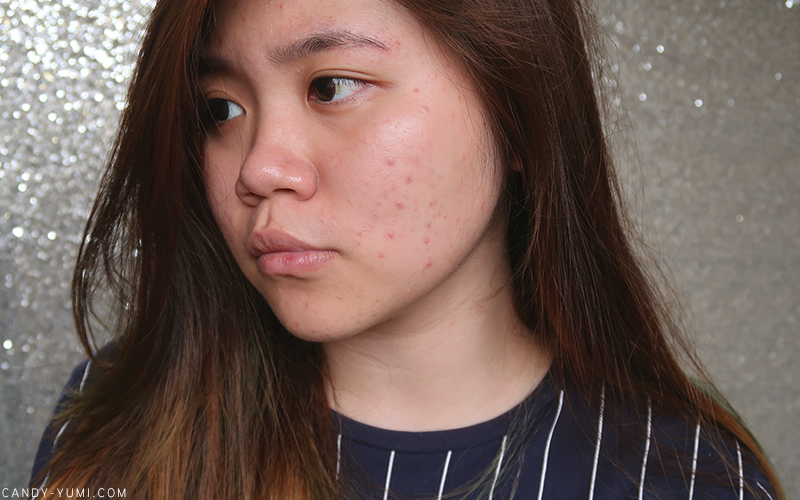 After cleansing, you'll need to balance out your skin's pH with toner. 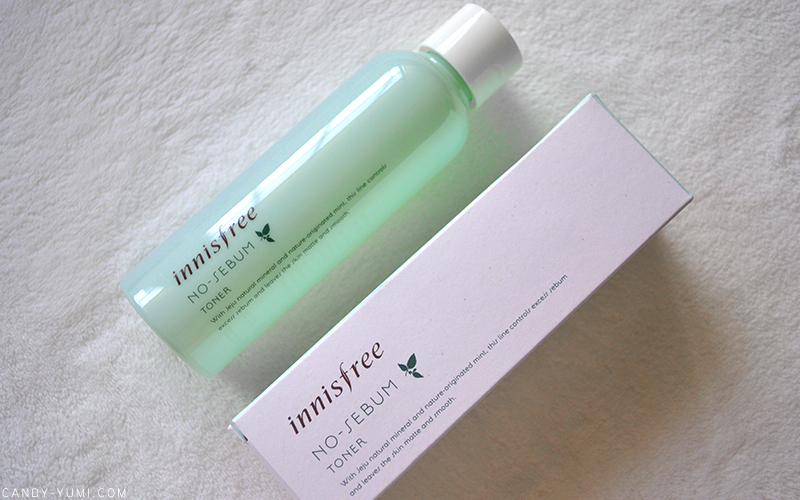 The Gorgeous Matte Box from Althea includes this No-Sebum toner from innisfree. 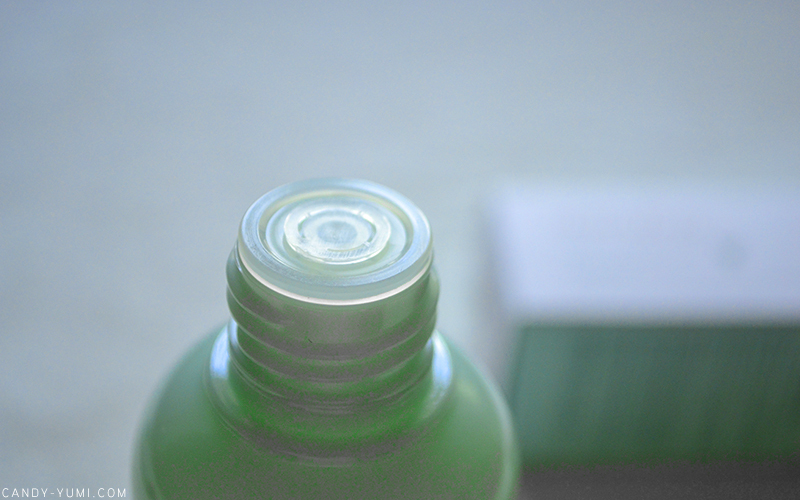 This toner contains Jeju natural mineral and nature-originated mint which would help in controlling excess sebum. 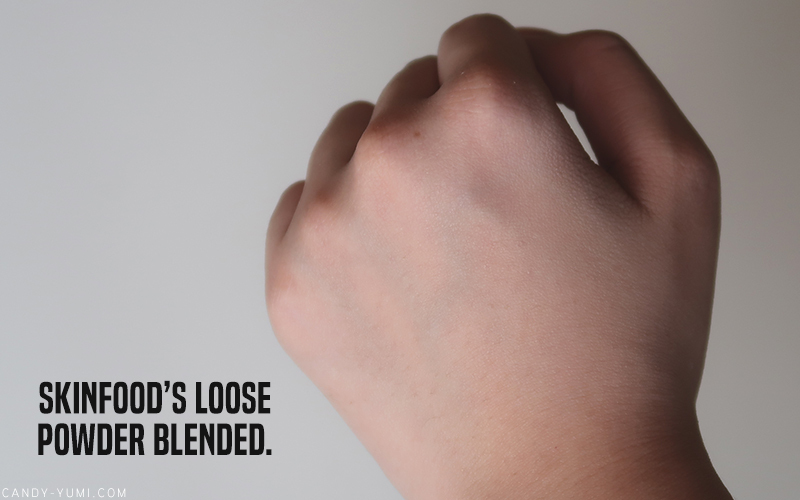 It is also suppose to leave your skin with a matte and smooth finish. Toner comes with this seal. Toners could some times come in liquids or very watery-lotion forms. This innisfree one has a clear water-like form. I've been using this toner for two weeks now and I'm quite happy with the results. 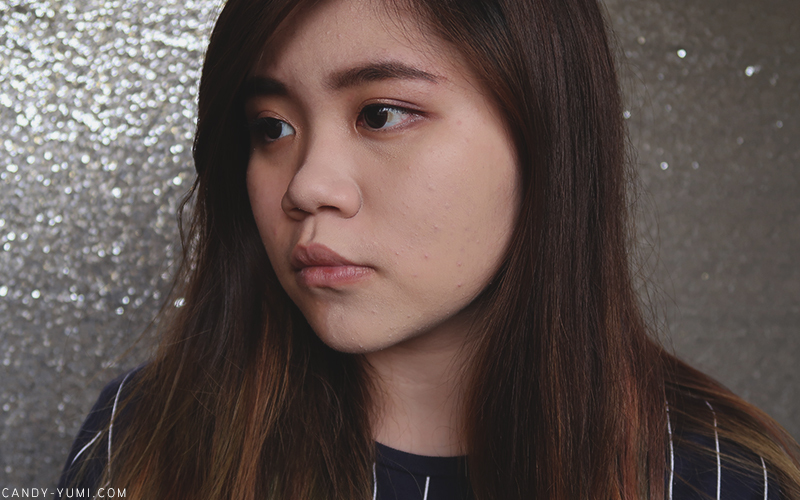 Although the results aren't fantastic, I noticed that my skin has been slightly less oily now. I've also previously encountered toners that absolutely don't work with my skin (tingling-burning feel) so thankfully this toner did not burn. 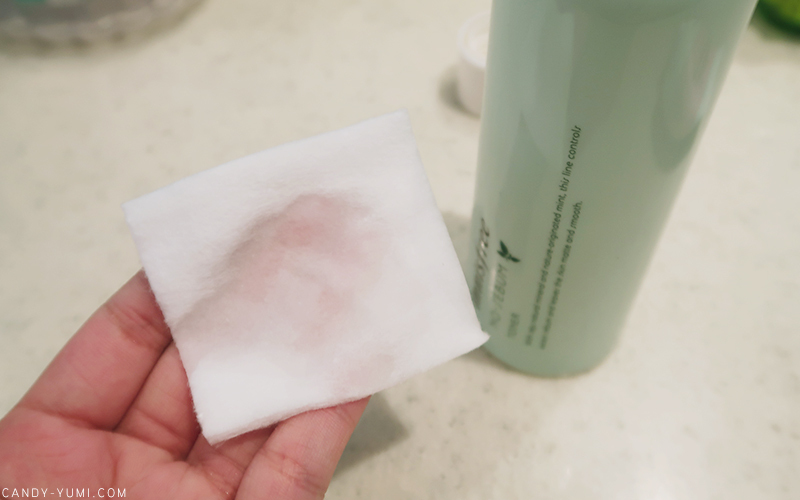 I wouldn't say that this toner felt refreshing either, it just felt neutral on my skin. As for the scent, it does carry a light minty citrus scent. PS. This toner does feel a little dry on my skin. Because it does give you a matte finish, I personally don't think this toner is suitable for those with dry skin, so even if you have oily/combination skin like me, remember to moisturize after use! 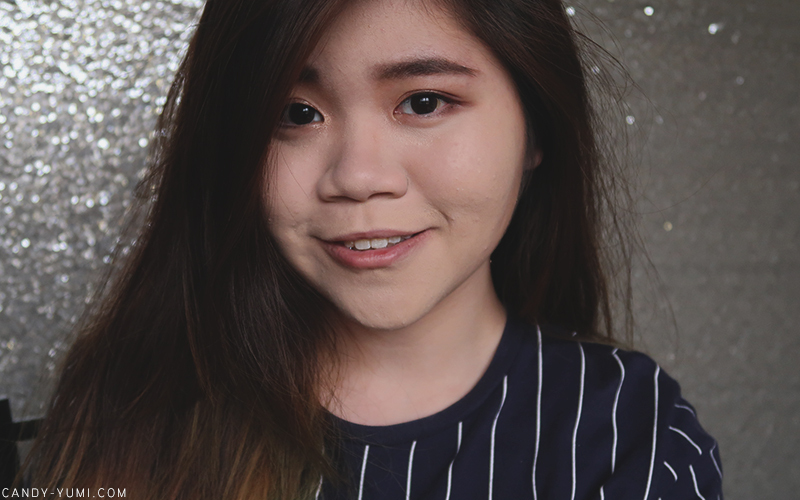 Here's my very unglam post-final semester face, cleansed and toned followed with moisturizer. Inside this tube you get 45ml of product. As you'll only be using a small amount each time, this RM35 purchase would last you quite some time. Comes with a safety seal. This is after applying Aritaum's Pore Master gel primer. Comparing with the pic above with my bare face, you can tell that this primer did reduce quite a bit of shine. A tip is to let your moisturizer completely absorbed into your skin BEFORE you apply this primer. 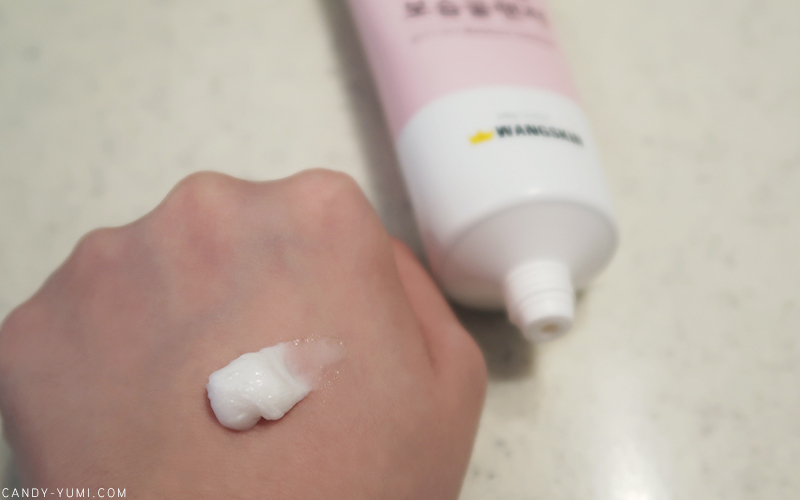 The first time I used this primer, my moisturizer was still in the process of being absorbed into my skin so when I applied the primer, it left this sticky feeling. The next time I tried the primer again, this time allowing enough time for my moisturizer to set, this primer went on pretty nicely and left a nice matte finish for me to work with. 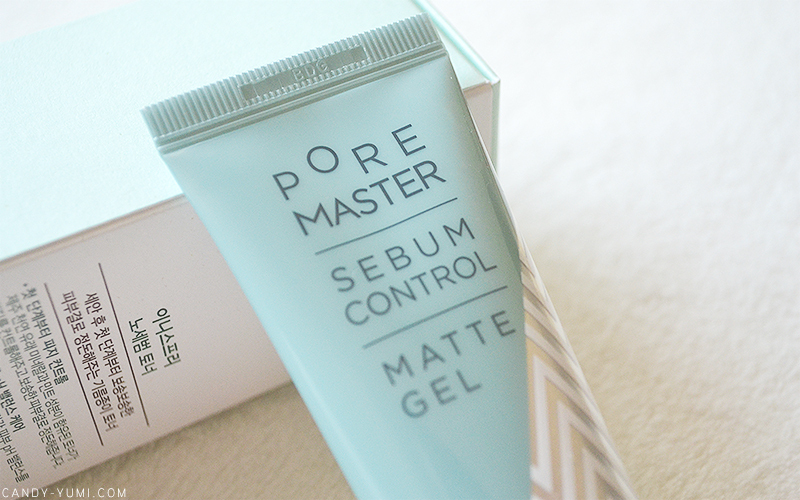 What I liked about this primer is how hydrating it is for a matte finish face primer. This would be the perfect matte finish primer if it helped in minimizing the visibility of my pores. 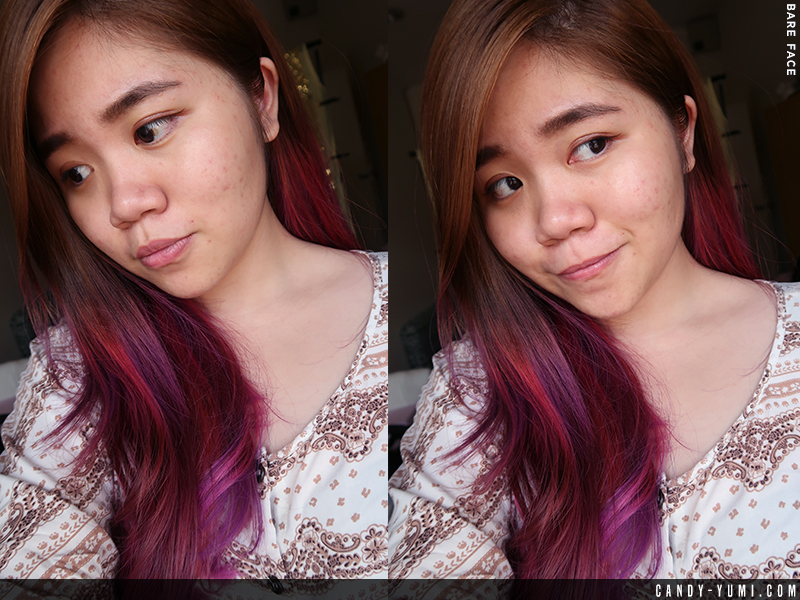 To be honest, getting such results from a primer with RM35 is already a huge win for me. Purchase link above is for the shade Sand (one shade darker) because I couldn't find the individual purchase link for 02 Beige. Anyways, moving on with the review! 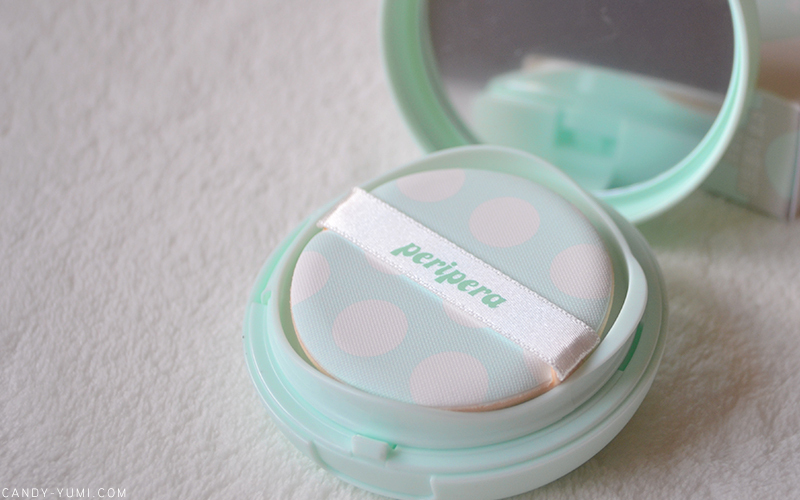 This BB Cushion has SPF 50+ PA+++ in it. It's coverage is said to be able to hide red spots and wrinkles! Let's take a look and see how it works with my skin. 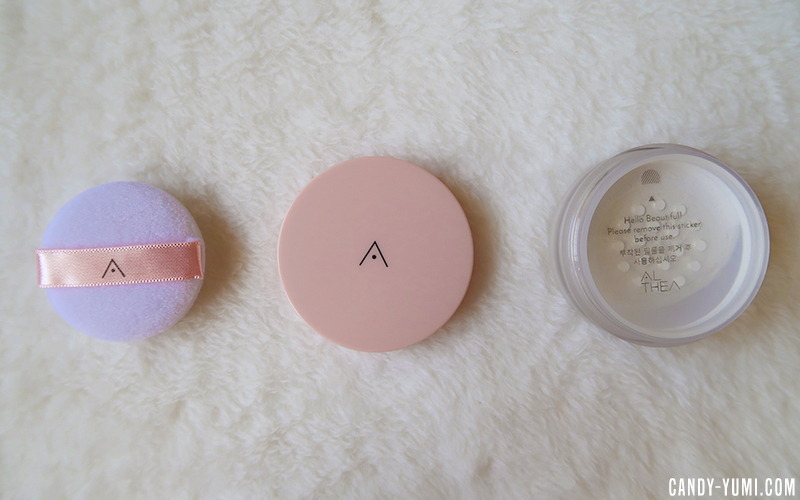 Super in love with the colour of this BB Cushion and how cute the puff is. BTW. 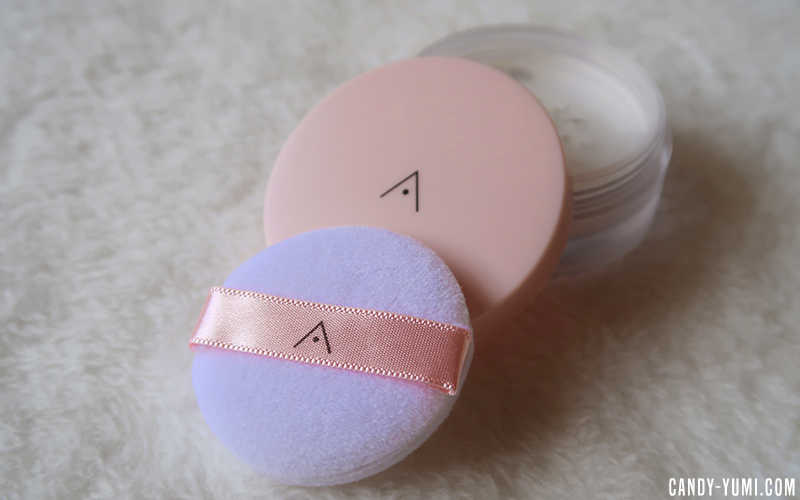 Their BB Cushion's puff is SUPER SOFT. 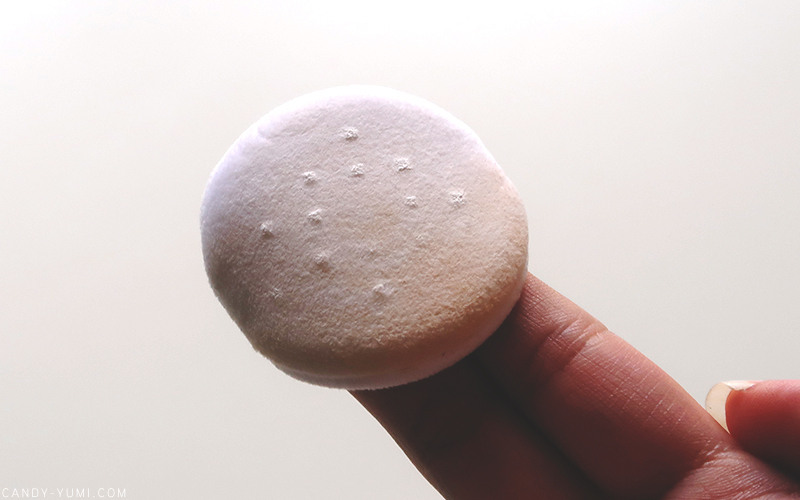 I think this is probably the softest BB Cushion puff I've ever encountered omg. As always, they have the safety seal. 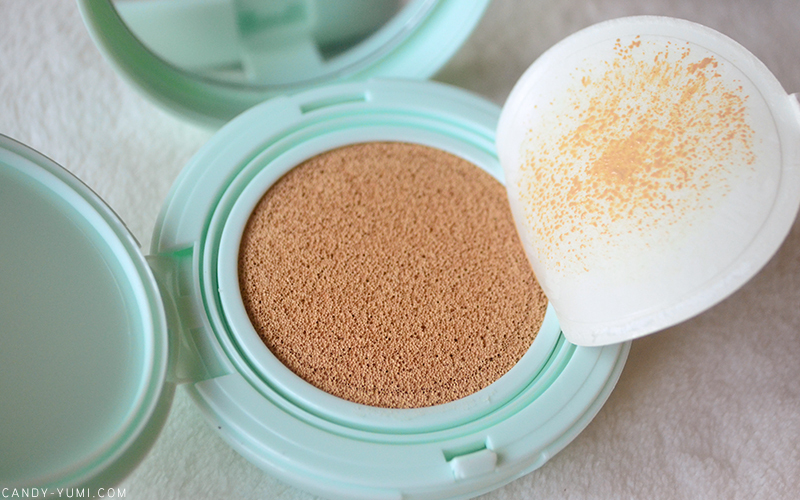 The formula of this BB Cushion is sliiiighttttlyyyyy heavy, so it does get cakey quite easily. 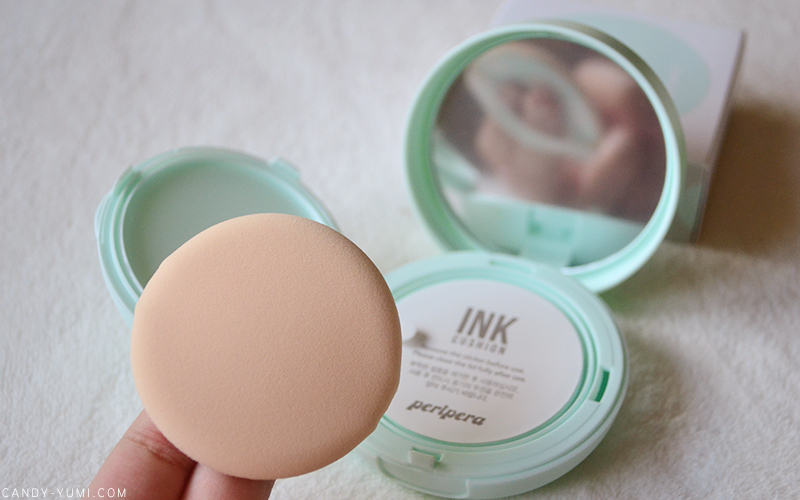 This BB Cushion dries matte and I recommend this to those with oily skin. 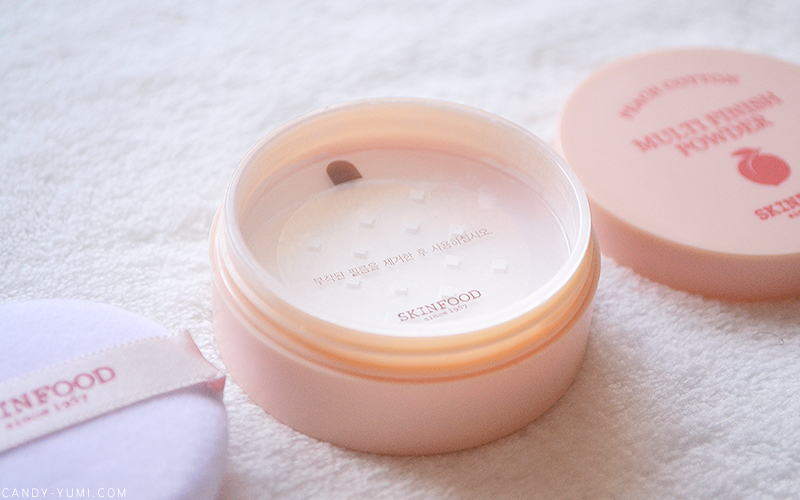 For those with oily-combination skin like me, this BB Cushion might be a little dry for our skin type. 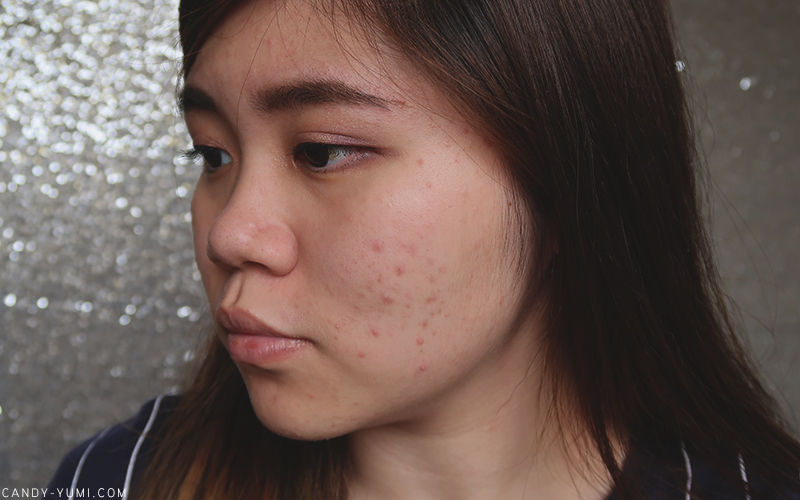 Let's take a look at how well the coverage does with these "post-final-semester-acne". 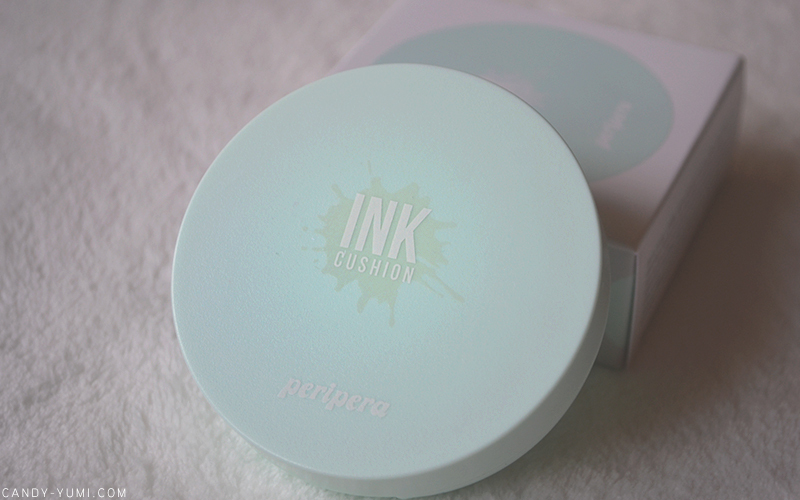 This is just one layer of Peripera's Inklasting Mint Cushion. With this I can say the coverage is within the medium to 'almost high coverage' range. You can definitely still see my acne bumps. 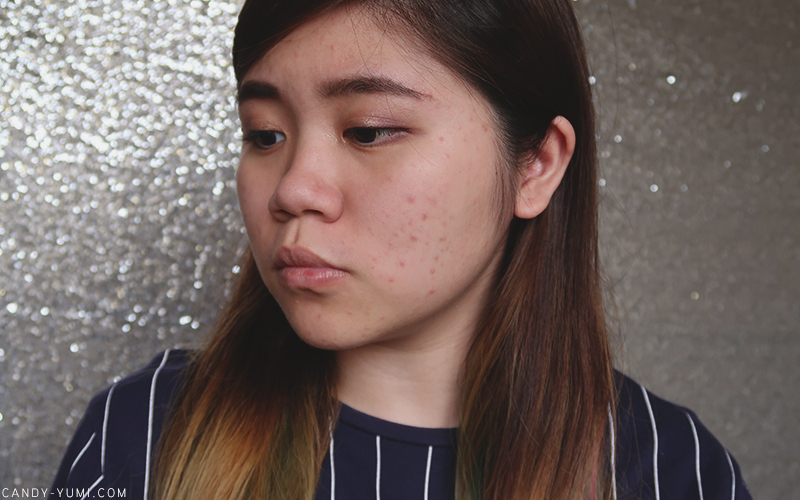 The redness from the acne is slightly peeking through the foundation as well. Here's a side-by-side comparison. It looked a shade too fair on me in real life but I don't know why in the photos it actually matches my hand quite well. 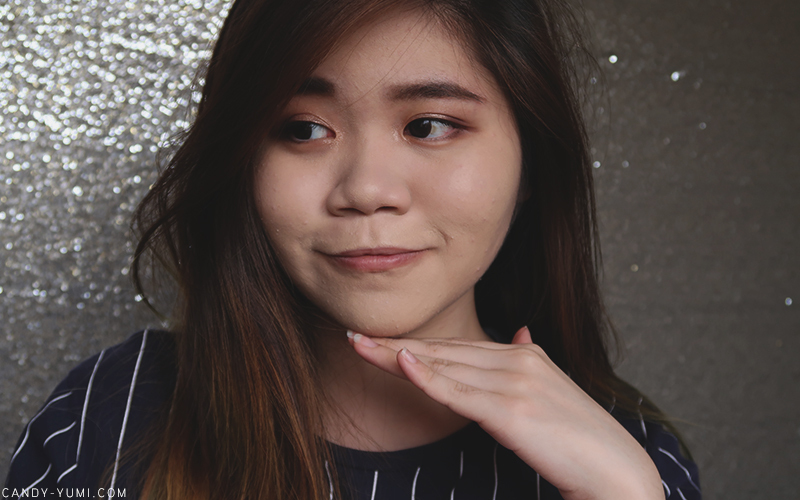 Done applying the BB Cushion on my entire face. Also did a second layer and yup the coverage is build-able. Just that I wouldn't recommend a third layer as it'll probably end up too cakey. 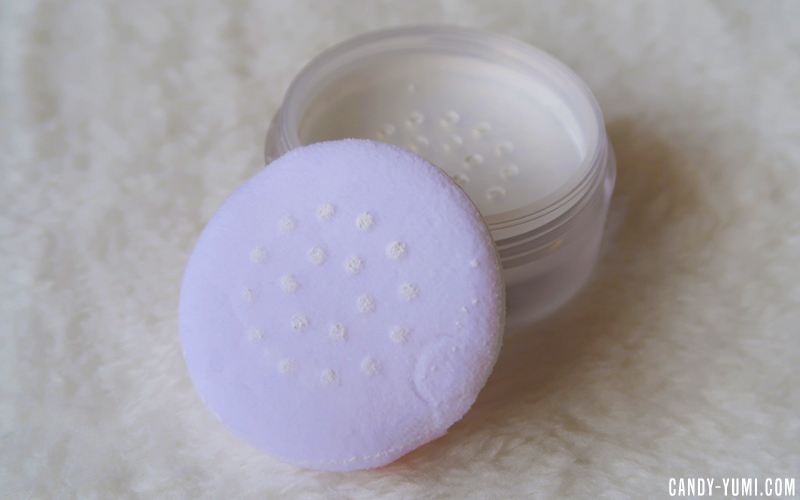 My final verdict is that this BB Cushion is not my cup of tea as it was too dry on my skin. Other than that, I'm quite pleased with the coverage. I guess in general most matte finish BB Cushions are quite dry so hopefully there'll be BB Cushions in the future that's hydrating and dries matte ahaha. 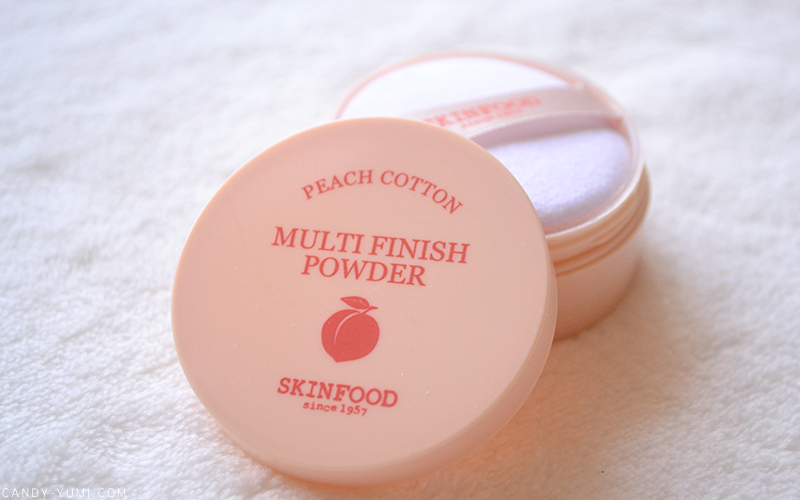 This is a translucent loose setting powder from Skinfood that contains peach extract. This loose powder claims to provide sebum control, and the peach extract in it would help to smooth your skin. 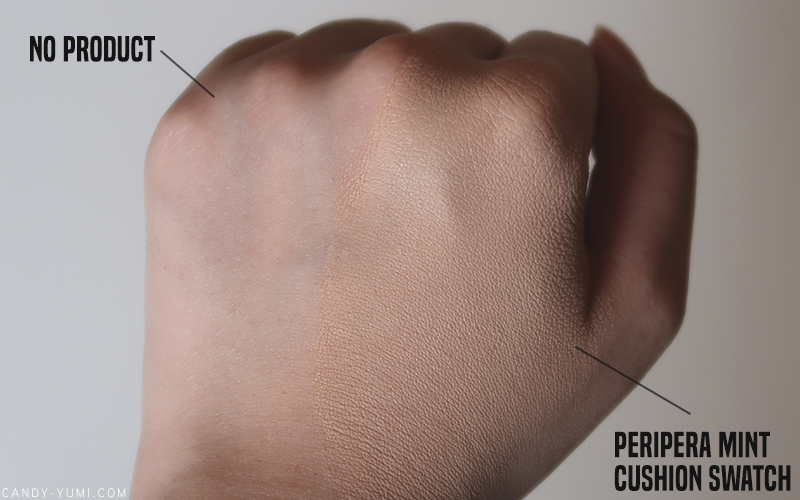 Other than a good matte finish face primer, setting powders are like a walking reflector's BFF. 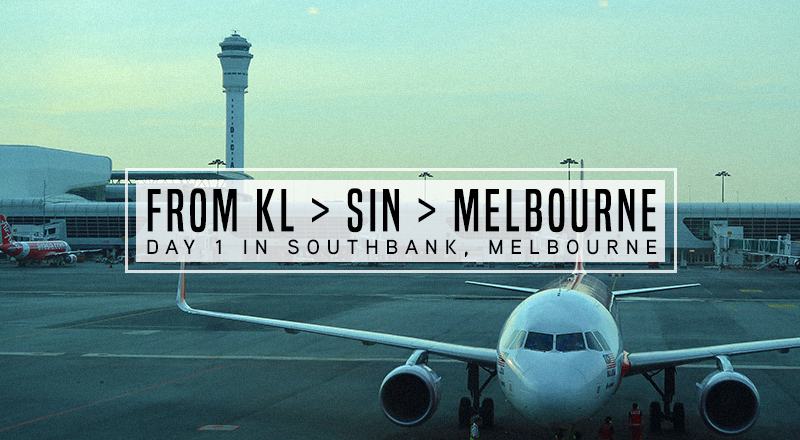 Especially when the weather in Malaysia is 24/7 summer, our skin tend to sweat & produce oil easily. The size of this is also great for traveling! Wish the puff wasn't white though. 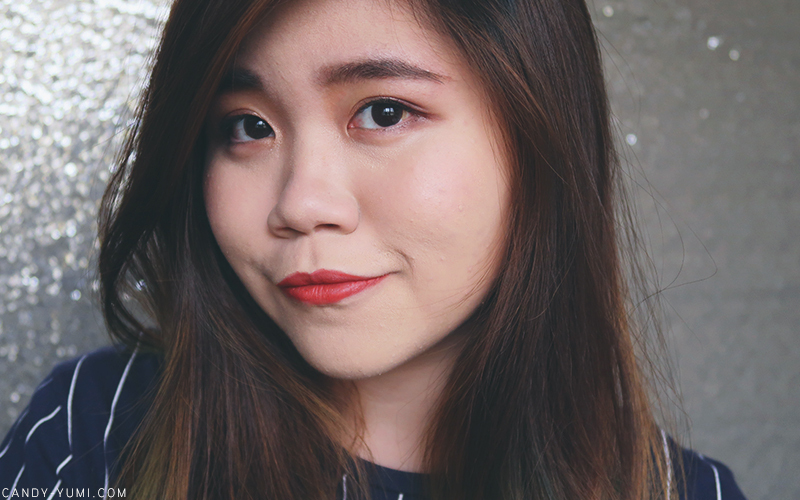 When the puff is white and I apply it onto my face, it'll slowly turn into my foundation shade leh. :( But small matter, nevermind. I can live with this. 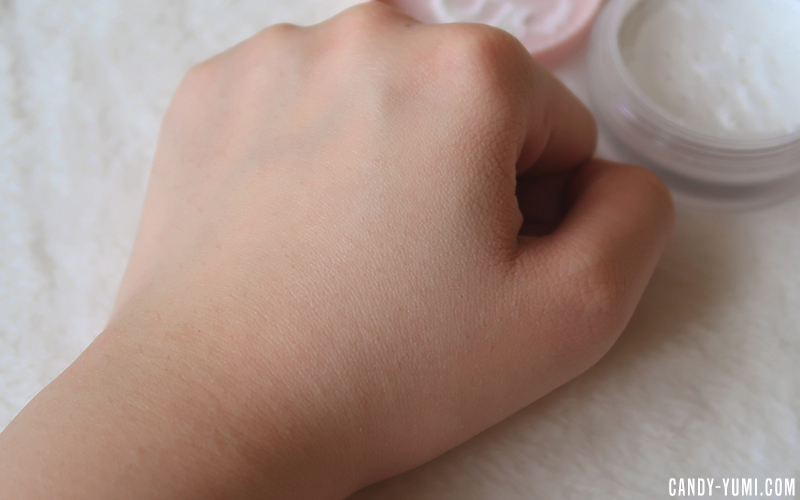 The powder is quite fine and because it's translucent, it blends out to nothing. Applied the powder~ For my oily-combination skin tomodachis (friends) you'll know how important to set our foundations EVEN THOUGH the foundation itself dries matte. I've only used sheet masks from Lebaton prior to receiving this so I did not know that this brand carried makeup products as well. 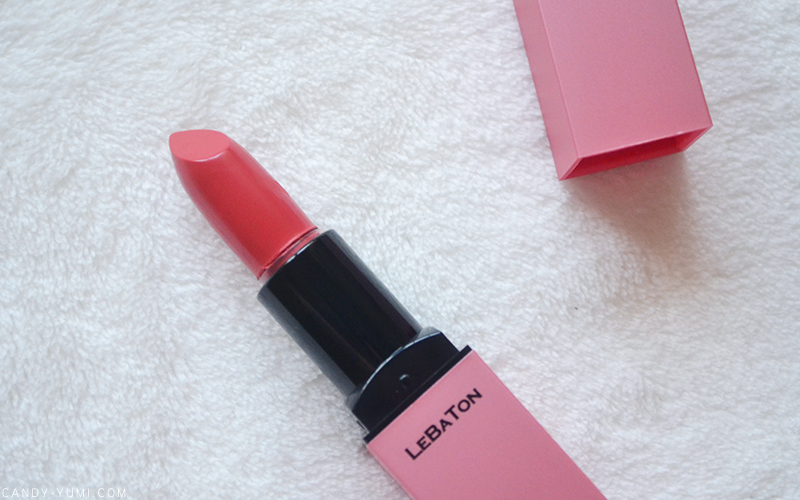 As it's part of the Gorgeous Matte Althea box, this lipstick is of course a matte finish lipstick. For RM35 you get 3.5g of product. I got the shade Rose Coral. On Althea's website, there are two other shades to choose from. (if you're purchasing individually) The two other shades are #Muse Red and #Heidi Pink. 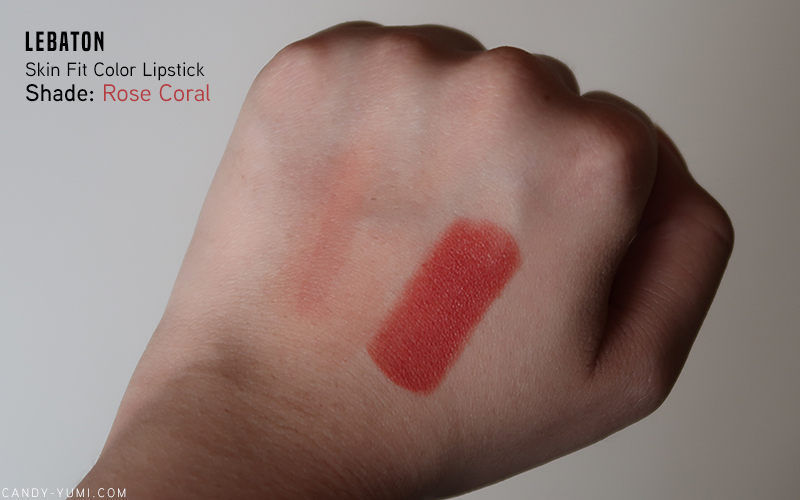 Here's a swatch of Rose Coral on my hand. On the left is how it'll look like blended out as a blush. On the right is a direct swatch without blending it out. 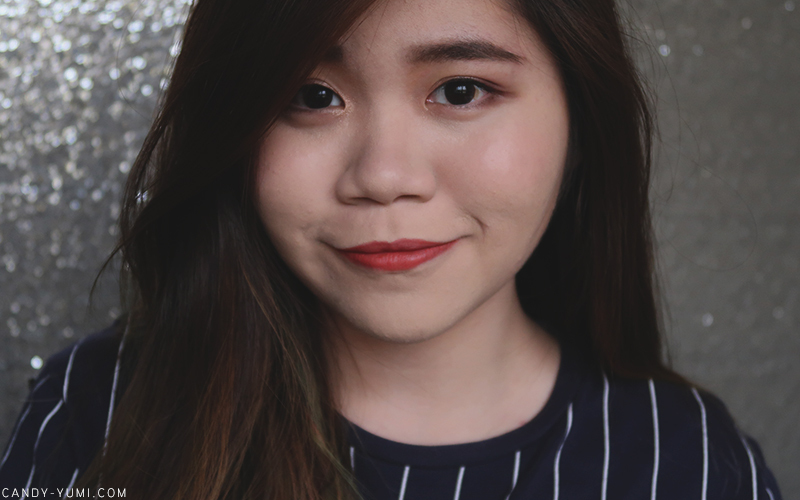 To be honest I think I'll forever prefer lipsticks over liquid lipsticks haha. It's just too convenient because I could easily double it as a blusher. Here's a closeup of the lipstick on my lips. This shade turned out more red than I expected but I'm still loving it! Normally I'm one to avoid matte lipsticks because they could be very drying but this one dried to a velvet finish and felt quite pleasant on my lips. By the way, I did not apply lip balm and it still felt alright! Here's after two meals and drinking a lot of water. 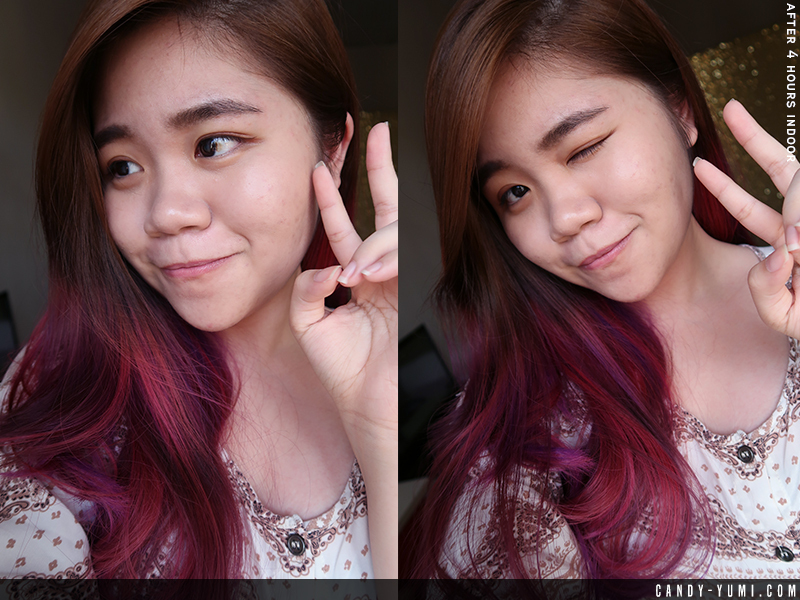 I'm actually quite liking this washed-out colour too! So I guess if I were to leave house forgetting the lipstick I'm wearing, I'd hope it's this haha! Final closeup on the finished look! Earlier I mentioned to read till the end to see how the oil control worked with these face product combinations, here's my results. This is my face after 3 hours with about 20 minutes under the sun while trying to book a grab car lol. Although the oil control wasn't that great for my skin, overall it didn't turn out too bad either. 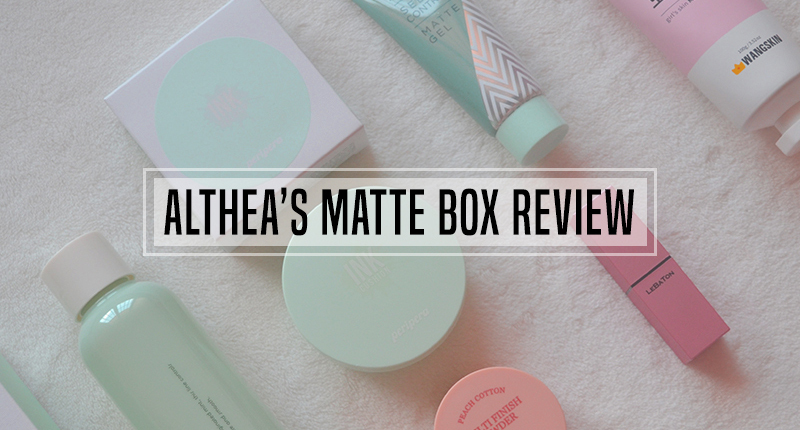 Overall if you're trying to achieve a matte makeup look, this is a decent Althea box to try out! Everyone's skin is different so if you've tried the products from this box, let me know if you liked it! Some products are a hit(like my favourites below), some are a miss. 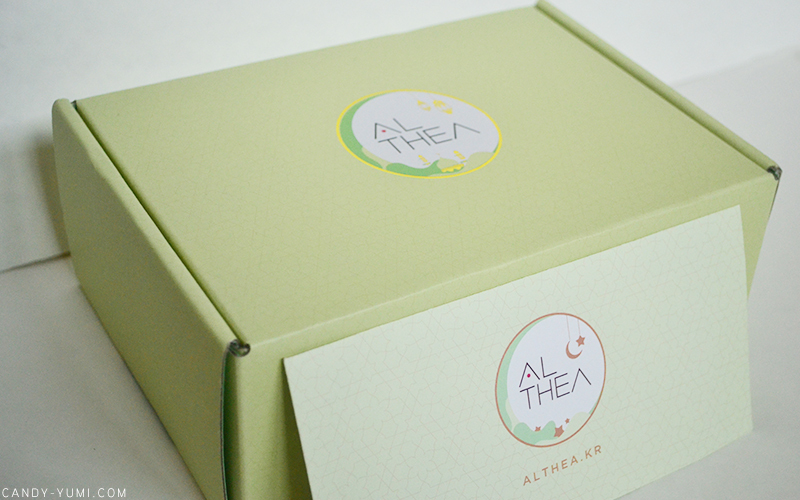 I think Althea's themed boxes are always a great value for money so I can't wait to see more in the future! 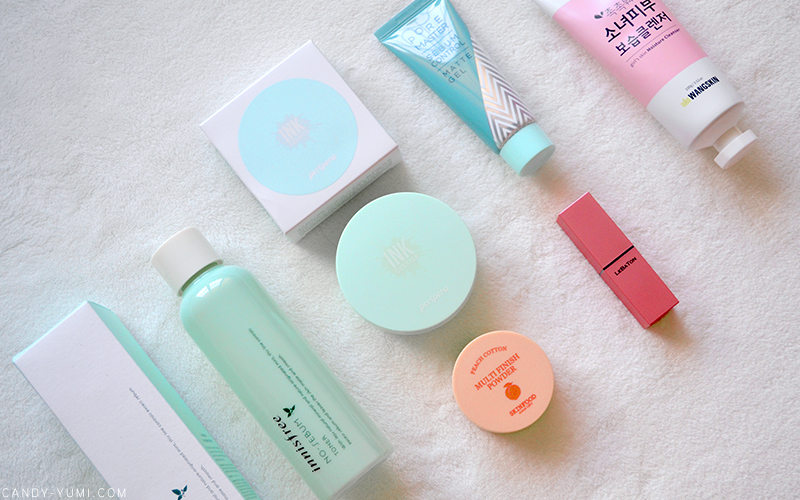 I think other than the BB Cushion that felt a little too dry for my skin, I'm actually quite happy with the rest of the products! 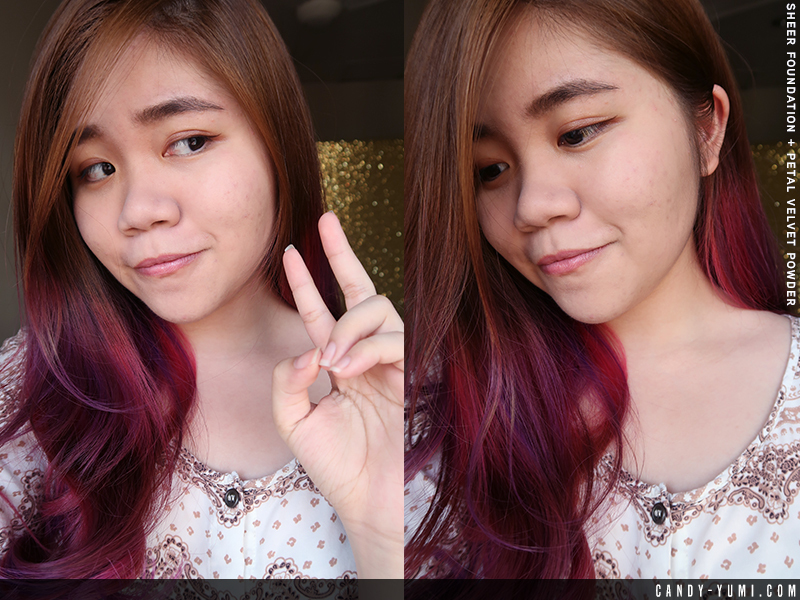 Other than that I guess I just wished that I could preserve the matte-ness it gave me before I left home haha. 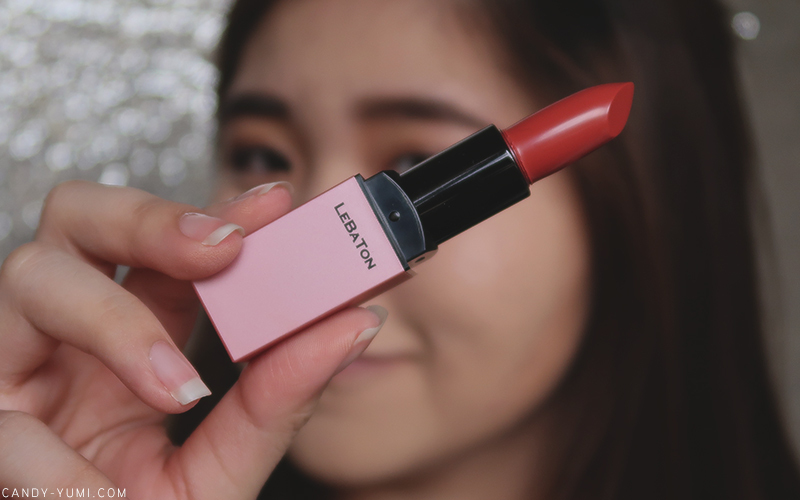 Oh yeah, I figured I'd might as well throw in my personal favourites from Althea's Gorgeous Matte box would definitely be the innisfree no-sebum toner, Aritaum Pore Master gel primer, and the Lebaton Color Fit Lipstick! !